The FIS Skiing World Cup was in Kitzbuehel, Austria, with a couple of famous faces from the world of Formula 1 in attendance – Sebastian Vettel and Bernie Ecclestone! 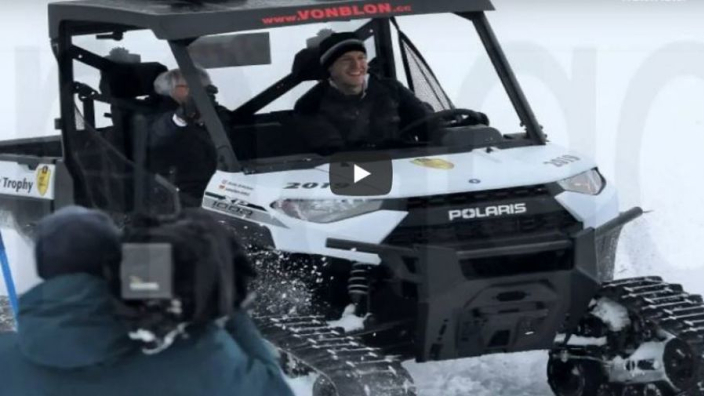 Vettel dropped a chequered flag during the slalom competition in the Kitz Charity Trophy before putting a snowmobile – and a hefty one at that – through its paces with Ecclestone in the passenger seat. When does pre-season testing start again?